What’s the worst thing this Government has done? Well, one could make a long list and shake it many times. One could do a compare-and-contrast exercise with the first three years of previous regimes going back to Independence and play that familiar game of suppressing the bad, inflating the good and so on. It would be hard to deny however that however long the list is and whatever it may contain, among the worst things this Government has done is to turn ‘Good Governance’ into a cuss word. How Yahapalanaya became a bad word would be an excellent thesis topic for an political science undergraduate in any university. That unwritten thesis is known. The results of the recently concluded local government election proves it. The verdict was clear: ‘not only are you people not serious about good governance, you are also utterly incompetent.’ It was a vote of no confidence if ever there was one. The incompetence, nepotism, corruption, abuse of state resources and buttressing of the system of political patronage is all too evident. It has come to a point where it is utterly hilarious when diehard loyalists defend the regime. Some talk about the dark days of the previous regime, as though they don’t know that many in this government were part of that regime or that some were part of regimes as bad or worse. It is also funny when some of those who take issue with the way things were before January 2015 were quite supportive of Velupillai Prabhakaran and even wanted to let him and his bunch of terrorists to rule one third of the island and control two thirds of the coastline. It is funny when they take umbrage at certain ministers supporting the vote of no confidence against the Prime Minister and invoke the notion of collective responsibility when the entire cabinet by omission or commission is guilty of criminal irresponsibility on multiple counts. They could put it all down to ‘political culture’ and the lack of human resources, but they would be hard pressed to deny that it was deliberate, irresponsible and pernicious to script a clause into the 19th Amendment to get around the limit to cabinet size promised in manifesto and preambled in the amendment itself. All illusions about good governance from this lot died that day. Some however are in denial, naturally. Let’s consider the business of the Opposition Leader. ‘Business’ not in the sense of his/her responsibilities but the post itself. It was strange when Nimal Siripala de Silva was made Opposition Leader because he was a member of the Sri Lanka Freedom Party (SLFP) which was officially part of the Government. It was less strange when R. Sampanthan was made Opposition because the Tamil National Alliance (TNA) had the most number of MPs outside of the parties that made the Government. It is strange that he remained the Leader of the Opposition after some 50 MPs of the SLFP decided and made it known to the Speaker that they are not part of the Government and would function as a separate group in the Opposition. Sampanthan’s position looks even more politically grotesque considering that he has sided with the Government on a key no-confidence motion. That the Speaker, in all his wisdom, appears to be absolutely ignorant about parliamentary arithmetic and political realities, especially considering the fact that parliamentary composition is at odds with general voter sentiment, is itself strange. First of all, whether or not the UNP can form a government on its own is a moot point, given that the President is not from that party but would be a part of the Government and thereby fulfill the ‘National Government Escape Clause to Inflate the Cabinet’. Senaratne did not mention any of that. He ignored completely basic arithmetic. One might say he dodged the question. He simply said that it’s good to have a Tamil as Opposition Leader. He then compared apples with oranges, talking about J.R. Jayewardene removing A. Amirthalingam as the Leader of the Opposition. J.R. Jayewardene did a lot of cunning things. He orchestrated the removal of Amirthalingam through the 6th Amendment to the Constitution (J.R. Jayewardene was an UNPer, by the way, a fact that Senaratne might have forgotten). J.R. Jayewardene was not, however, arithmetically challenged the way Senaratne obvious is. Senaratne went on to say ‘as a result Prabhakaran became the Leader of the Opposition.’ Clever twist, but still dodgy, for Prabhakaran was not a product of a single piece of political manipulation. In any event, short-sighted legislators (of all parties, including those in the Joint Opposition) gave us a constitutional bind that prevents the correction of the representational anomaly that the February 10th election revealed. That said, there’s nothing to prevent the correction of the obvious travesty of the group that has the most numbers among the parties in the Opposition from having the right to select the Opposition Leader. It is convenient for Senaratne and others to dodge the issue and talk political nonsense. In fact one might even say that Senaratne, in this, is the ideal spokesperson for this cabinet. However, those who swore and swear on good governance and democracy need to rethink or shut up, for silence on this is telling. Ranil is exactly the same Ranil that was in 1994 govt. Sri lanka is fortunate that it was Ranil who negotiated with LTTE and not MR or CBK both of whom were willing to offer, apparently, what LTTE asked. My point is Ranil never did or carried out what he said he would do. In that sense, Ranil is the best one to appoint to negotiate with Tamils, Muslims, civil society, NGOs and foreign interests in Sri lankan including UN resolutions which are non-binding with respect to implementation. but, Ranil is not suitable for PResident, PM or Finance minister. Civil society behavioir and the scream of the 31% who says we are equal to the 69% is disgusting. I heard Sri lankan has not protected the buddhism even to the extetn that British had done it even though there is buddha sasana ministry of which the responsibility is politicization of Everything related to religions. The govt had taken lot of lands from nindagam, devalagam and viharagams etc., But MMDS, Thesawalamei etc., are still active. another point is ISrael is protectingwhat the bible says and chase out arabs. Buddhists can not protect what the buddhist books say, because it is the 31% who is superior. None of the politicians including CBK, MR, and Ranil thought about it. I do not know about MY3. but people says, he has started the same. He is just showing his back to Bhikku – leaders. No one turned it into bad news. If Ranil was a pathological Liar he never intended to do what he said. that is what he did as soon as Maithripala Sirisena becme president and appointed Ranil as the PM. He wss not even elected. It is was simply handing over the chicken coup to the fox who were waiting outside salivating for it. It is just using everything in order to make his advancing easy. MY3 was not far away by appointing the elelction losers. At least one had his name (S.B. D. ) in Panama Papers. I do not know why CPA’s paper included only his name and not others. Rajitha Senarathne has presidential ambitions and his son to be PM very soon. etc., I heard Ranil saying handing over the country to Rajitha’s son will be worse than handing over it to Sujith. Who is that Gamini Gunarathne whi was caught with Kurundu Polu (80 of them), Two pistols and was trying make a scean for Ranil. Ranil saays I don’t know but he says Ranil wanted to create the scenario. but, Police caught it. who phoned ? PArliament is one of the pillars of the Sri lankan democracy. when it shows that it is controlled by the foreign embassies, when the prominent politicans are behaving like typical Clowns, then what is Sri lanka. 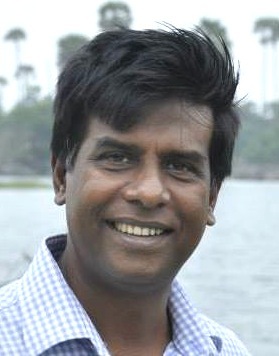 Ravi KArunanayake has multiple financial fraud charges. but he still is a minister. IT says, Ranil on purpose selelcted SLFP – MP s with corruption case to appoint as ministers. Nimal siripala, susil PRemajayanth, SB, Duminda, thilanga sumathipala are nt good people I heard. All others are same. I di dnot now that even G.L Peiris is a land owner in Maharagama and Dinesh gu awardana is a Land owner in KAluthara as well all over the world. I heard he went to guathamala and was looking for Investment opportunities. 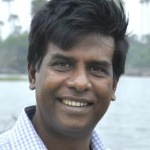 I saw how Dinesh gunawardana and Mahinda Rajapakse was lieing in the parliament about Ranjan Ramanayake because Ranjan Ramanayake was used to expose MR. Other things I heard was how Namal Rajapakse and one Catherine and he is connected to 6 more women. One pork killingtool was used for something. Why TV stations are not telecasting these drama inside the parliament. Why people should not be exposed to what they talk. Another Ranil Basher first it was DJ now its MS. Match you perfectly Abdul Samad. Malinda Seneviratne ~ “……..How Yahapalanaya became a bad word would be an excellent thesis topic for an political science undergraduate in any university………..”. Will the undergraduate be allowed to investigate how and why Yahapalanaya of the fifties became Mono-palanaya then into Corrupt-palanaya? Malinda wants the word Yahapalanaya taken away from usage. Malinda again ~ “……..The results of the recently concluded local government election proves it….”. It proves that the language/religion-divide is recyclable. And back to TNA bashing. Malinda: Calling yourself ‘a freelance writer’? “The advent of Malindas and DJs” is another research topic. US interference in Sri Lanka is profound.